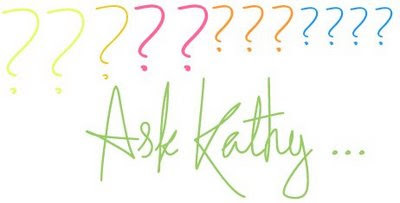 Ask Kathy: Is My Yogurt Pathetic? QUESTION: "I read your post about probiotics products. I have been eating a yogurt a day for many years now and thought that I was doing at good job of getting healthy probiotics. But now it seems like the super-probiotics products make my yogurt look pathetic. Does regular yogurt do the trick ? Or should I switch to something stronger?" today there are a plethora of SUPER-probiotics on the market. If your main goal is to really re-vamp your intestines, I suggest trying something a bit stronger than standard yogurt and see if you notice a difference. My favorite brand is BioKPlus which contains 50 billion organisms per shot of yogurt! And it comes in a yummy vegan non-dairy mango soy flavor! I try to drink a shot a day and can feel the difference in both my digestive and immune systems. Some studies show that 70% of your immune system is linked to the health of your digestive system, AKA your intestines where those bacteria set up shop. Just think. Yogurt is usually 170 grams. So that's around 17 billion organisms per yogurt (at time of manufacture). BioKPlus guarantees 50 billion at time of consumption. If you drink one full shot of BioKPlus a day, that is equal to around 3.5 yogurts. Yogurt live cultures are highly volatile living organisms, and thus will vary from container to container. I suggest a test of something stronger and see how you feel. Give a stronger probiotic product at least two weeks to make a real change in your digestive health.